Trump Says New Israeli Settlements May Not Help Bring About Peace : The Two-Way It's a shift from earlier comments by Trump, who had seemed to give Israel a green light to build more housing for Jewish settlers in areas the Palestinians hope will become part of a future state. Israeli Prime Minister Benjamin Netanyahu delivers a speech during a memorial ceremony for the founder of Ariel, one of the largest Israeli settlements in the occupied West Bank on Thursday. President Trump is encouraging Israel to hold off on new settlement construction. 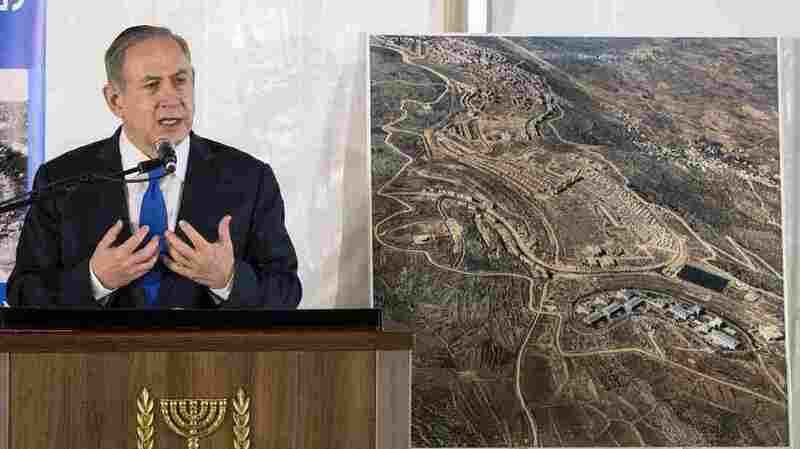 The surprising statement came after the Israeli prime minister vowed to build the first new settlement in the West Bank in many years. The White House says while it doesn't see settlements as an obstacle to peace between Israelis and Palestinians, the construction of new settlements and the expansion of those beyond their current borders may not be helpful. That's a shift from previous comments by Trump, who had seemed to be giving Israel a green light to build more housing for Jewish settlers in areas the Palestinians hope will become part of a future state. 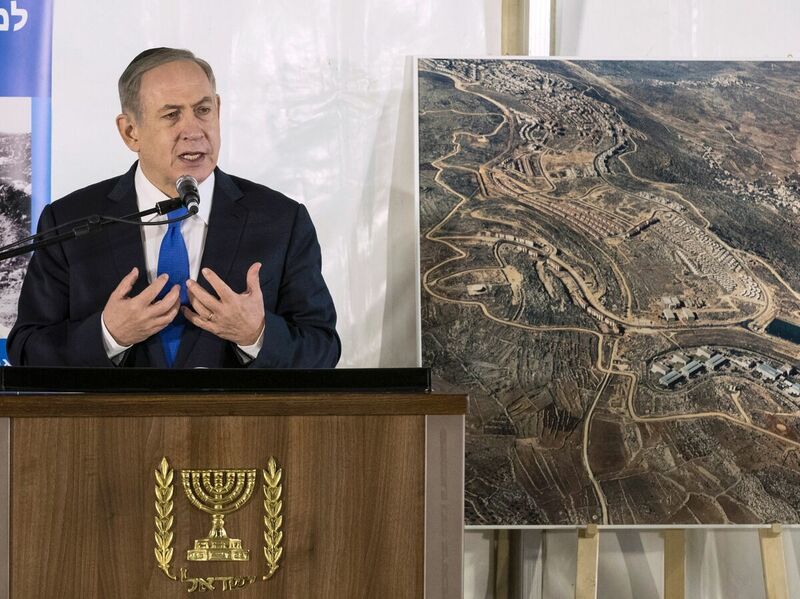 This week, the Israelis announced plans to build thousands of homes in the West Bank and Prime Minister Benjamin Netanyahu suggested new settlements. Trump is expected to discuss this with him later this month when the prime minister visits Washington.